Brenderup Group collaborates with the Swedish Transport Administration and trains them to increase their knowledge of trailers. The training was for the Traffic inspectors, who are performing the practical tests for enhanced driver's licence, so they can get a deeper understanding of the products in their daily work. Each year the Swedish Transport Administration selects a company to get insights on a specific subject and when they chose Brenderup Group, of course, we said yes. – It was the first time we did anything like this and it has been a good experience. 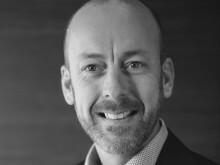 This has been rewarding in many ways for both parts, says Johan Sandahl R&D manager in Sweden. 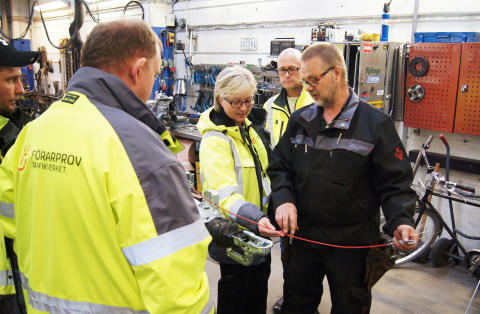 The visitors from the Swedish Transport Administration were satisfied with the day, which in addition to the training performed by Brenderup Group also consisted of driving test and inspection training. – It has been a rewarding day and really interesting to see the production. It gives you a better understanding of the products when conducting driving tests, says Thomas Simonsson, Traffic Inspector in the Transport Administration in Jönköping, Sweden. The training at Brenderup Group also included information about general regulations and Brenderup Group products performed by Joakim Stork, Project Manager. This was followed by a hands on training with Brenderup Group Senior Prototype Engineer Anders Tidstrand, who informed about the brake system and different quality tests. – I´m not that technically insightful, but now I have better understanding of, for example, where the brakes wear out and I can thereby be more tough in the inspections, says Kristina Andersson, Traffic inspector at the Transport Administration in Gothenburg, Sweden. – We see that BE licence will come back. This because you need to have more combination possibilities between the car and trailer, says Kristina. All inspectors were very satisfied with the Brenderup Group training, and we also see a benefit for the Brenderup Group. – It's always good to meet people who often have contact with trailers professionally and getting their views. Our plan is to get similar studies also in the future and utilize this knowledge in product development, says Johan Sandahl, R&D manager at Brenderup Group, Sweden. Trafikverket, The Swedish Transport Administration is responsible for long-term planning of the transport system for all types of traffic, as well as for building, operating and maintaining public roads and railways. The Swedish Transport Administration is also responsible for administering the theoretical and driving tests needed to receive a driving licence and taxi driver badge, as well as the theoretical test for the professional know-how needed for a transport licence and certificate of professional competence.